Welcome to the Frozen Nerdz Podcast Episode 43 entitled Derailing with a Show! The show was recorded on Sunday, January 4th, 2015. And was released on Tuesday, January 6th, 2015. On Today’s episode we talk shortly about our weeks inside video games and give a quick New Year’s recap. But before you know it, we drop a basic campfire and talk about World of Warcraft where we cover this weeks topic of gearing up in Warlords. Next we head over to the Starcade to talk about this weeks Blizzard Arcade free to play game called Worm War.Then we pull up a chair and talk about a Hearthstone Paladin deck used by BlizzCon 2014 champion Firebat! Then we sit back and stay awhile and look at another amazing Diablo 3 community creation! Then we bring back the Steam Room and discuss a free to play First Person Shooter called Double Action: Boogaloo. Then we dig deep inside our Icebox and find an email from JHuntermage. If you have any questions, comments or concerns for the show, feel free to email the show at IceBox@FrozeNerdz.com. Then we wrap up the show thanking those people who supported the show this week on Twitter and then we say our weekly goodbyes. 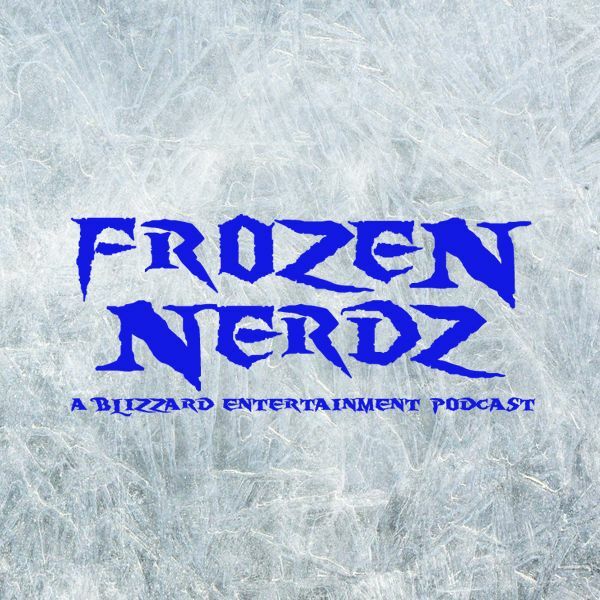 So sit back, relax and enjoy Episode 43 of the Frozen Nerdz Podcast.